The Earthship is a genius concept, which turns the home into an independent ecosystem. It takes no electricity from the power grid, and does not rely on public sewage service. It is built from used car tires, bottles and cans along with natural building materials. The outer walls are made with earth-filled tires, using thermal mass construction to naturally regulate indoor temperature. Electricity is harvested from sun and wind, while rain is collected for drinking water. A greenhouse for growing herbs and vegetables all year is an integrated part of every building. 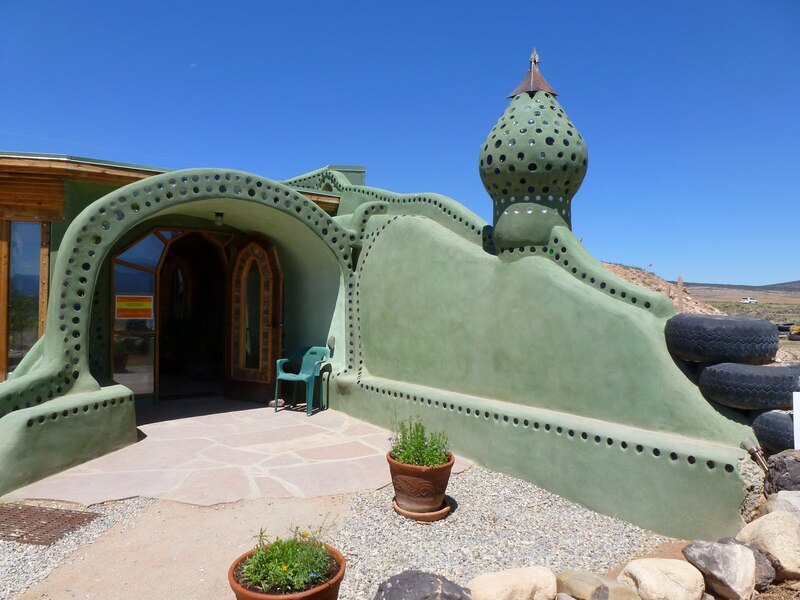 Earthship Biotecture was founded by Mike Reynolds in New Mexico the 1970s, and since then the organization have built their visionary homes across the United States. Since the 2000s, many earthships have also been built in Europe, Australia, Latin America and Africa. Garbage Warrior, a documentary about Mike Reynolds and Earthships, made in 2007, can be viewed in full here. British artist and eco-futurist Richard Sowa is working on what he believes one day will become an independent nation drifting on the oceans. His island is located in the Caribbean coast of Mexico, and Consists of thousands of plastic bottles, covered with mangroves and tropical vegetation. He also built a house on the island.